This yoga class combines several styles of yoga to create sequences that feel good and release tension from head to toe. Yoga can reduce stress, improve sleep, boost mood, increase flexibility and mobility and just generally make you feel awesome. 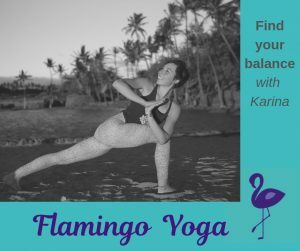 Originally very inflexible, Karina uses her own experience, research and training to guide students through a beneficial and accessible practice. All abilities are very welcome and Karina is keen to adapt the classes to suit the aims of everyone, so whether you want to increase your flexibility or decrease your stress then please come along and let Karina know! 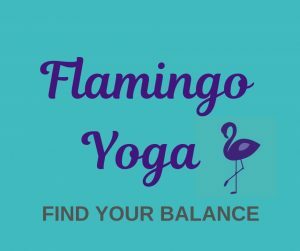 Flamingo Yoga classes also run on Sundays at 19:30 – 20:30, Mondays at 20:00 – 21:00 & Tuesday at 20:30 – 21:30. There are only ten places so booking is essential.